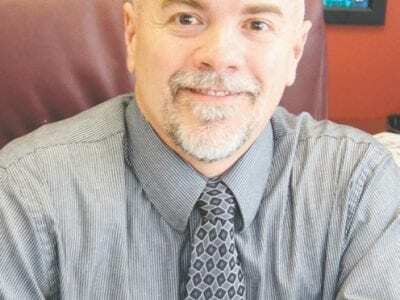 Andy Irvin Tapped As New Carmel Supt. Andy Irvin has been named as Carmel’s new Superintendent of Schools. The Carmel Board of Education didn’t have far to look when selecting a new chief school administrator. The school board last week decided on Carmel’s current Deput… Please login below or purchase a subscription to the Putnam County Courier to access this content. An unusual turf battle between the Town of Philipstown and Putnam County has been resolved with the town agreeing to provide more building permit records to the county for approval. Until now, the issue had been rapidly escalating, with the county s… Please login below or purchase a subscription to the Putnam County Courier to access this content. 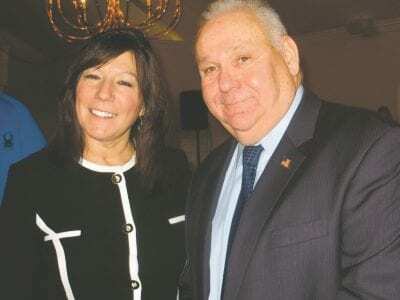 State Senator Sue Serino congratulates Tony Sutton. Tony Sutton has seen it all during his years in the emergency services community and the licensed paramedic is looking forward to his tenure in Putnam as the county’s new Commissioner of Emerg… Please login below or purchase a subscription to the Putnam County Courier to access this content. Odell makes a point during her presentation. County Executive Mary Ellen Odell’s State of the County address contained a wide focus, from reining in spending to the “One Army on the War of Drug Addiction,” from the “Donate for… Please login below or purchase a subscription to the Putnam County Courier to access this content. 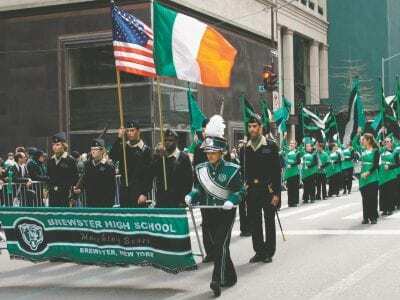 The Brewster High School Marching Band did Putnam County proud Tuesday while participating in the great New York City St. Patrick’s Day Parade witnessed by more than 3 million bystanders along 5th Avenue in Manhattan. 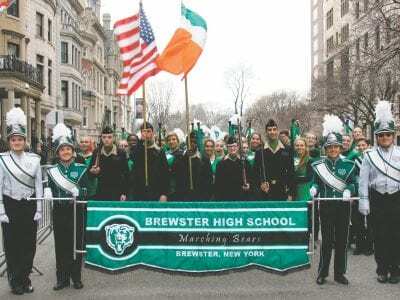 The green and white of B… Please login below or purchase a subscription to the Putnam County Courier to access this content. 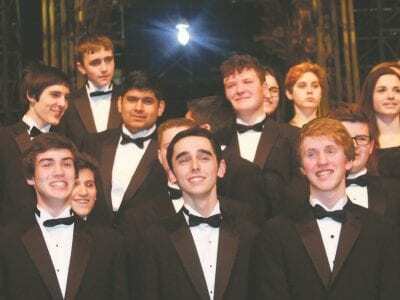 Excitement around Carmel High School has reached a fevered pitch this week in anticipation of next Thursday’s departure of dozens of members of the CHS Concert Choir and Wind Ensemble who will be participating in an American Celebration of Mus… Please login below or purchase a subscription to the Putnam County Courier to access this content. Michele Dugan and Jack—her recently adopted puppy from the Putnam Humane Society—are presented with a check from Carlos Cortez. 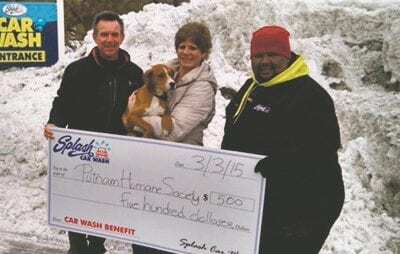 Splash Car Wash in Southeast each year donates money to a special charity which goes above and beyond the call… Please login below or purchase a subscription to the Putnam County Courier to access this content. 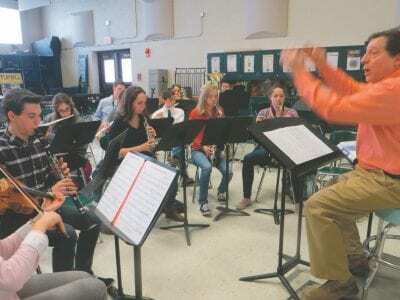 BHS music director George Viglucci leads a rehearsal of students headed to China last week. Nineteen students at Brewster High School will be experiencing a once in a lifetime occurrence next week when traveling to China. The young ladies and gentlem… Please login below or purchase a subscription to the Putnam County Courier to access this content. Parents of children residing in the Carmel School District whose youngsters will be attending kindergarten this fall are being encouraged this week to gather pertinent information needed for the registration process. Kindergarten registration takes … Please login below or purchase a subscription to the Putnam County Courier to access this content.